20/09/16 -- EU grains finished mostly higher, with nearby Nov 16 London wheat closing at a near one-month high. The day ended with Nov 16 London up GBP1.60/tonne at GBP126.00/tonne, Dec 16 Paris wheat was up EUR1.25/tonne at EUR162.00/tonne, Nov 16 corn was up EUR1.00/tonne at EUR161.75/tonne and Nov 16 rapeseed rose EUR3.50/tonne to EUR378.25/tonne. London wheat got support from renewed sterling weakness, with the pound slipping to a one month versus the US dollar as confidence in the British currency wanes. Platts reported that Indian buyers have booked around 500,000 MT of Ukraine wheat "under the radar" in the past 6 weeks as availability of state-owned supplies tightens. The Russian Ag Ministry raised their official grain production estimate to 113 MMT. There's nothing stunningly surprising about that, officially they've already harvested 106.4 MMT with 15% of the planted area still left to go. This year's Russian wheat harvest is now officially 72.4 MMT off 90.5% of the planted area. Corn harvesting is 16.5% complete at 2.5 MMT. The ADHB reported the average protein content of UK milling wheat samples at a 10-year high 12.6% and hagbergs at 319, although specific weights are a bit low at only 77.2kg/hl - the lowest in the last 4 years in fact. Still, that's thankfully much better than the average quality of this year's French crop. Ukraine said that it's 2016 grain harvest now stands at 40.8 MMT off 72% of the planted area. New crop corn is 10% done at 2 MMT. Final production is estimated as high as 26 MMT. Winter grains planting in Ukraine is 19% complete and 90% of OSR is now sown. 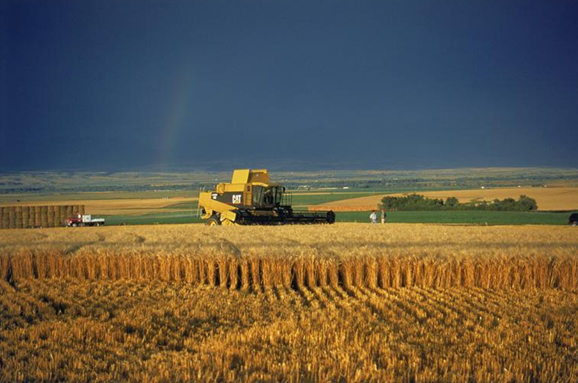 Kazakhstan said that it had harvested more than 16.5 MMT of an expected final crop of 22 MMT. Export potential this season is 9 MMT, according to the Ag Ministry.